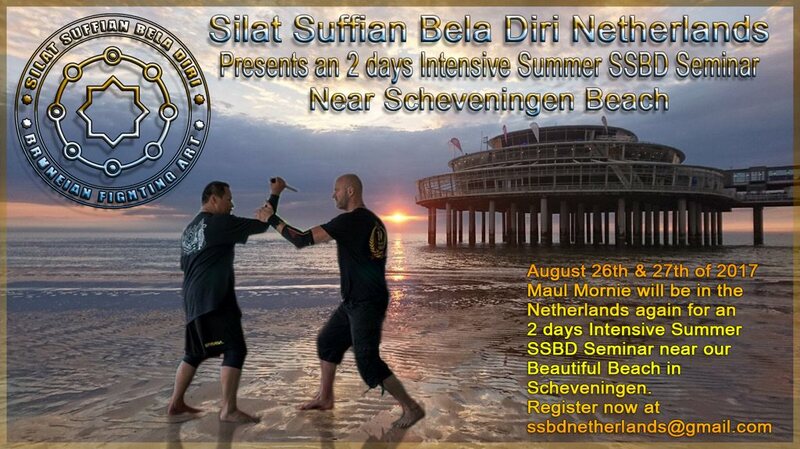 2 Days Intensive Summer SSBD Seminar on 26 & 27th of August 2017 in the Netherlands with Maul Mornie. Please read all. Here you will find all about the new location and about Hotels. We have limited places so think fast! For fast thinkers (early birds) we have the coupons included. IBAN (NL70INGB0676857000)Foreigners who would like to pay in advance for the seminar need also this BIC code (INGBNL2A)This Bank account number + BIC above belongs to the account of M.HorstmanIf you make the payment please write in announcements (SSBD Seminar) and how many days you’ll attend. And please write down your full name.This way we know that the payment is for the seminar and for how many days you will participate. Next to do:On the day of the Seminar please report at least 30 minutes before the Seminar starts that you are there and come to the person who has the list with your name on it.The person who has the list can be Marcel Horstman or Karin Huizer or one of their assistants for that day.If you have registered and paid in advance than your name will be there on that list.There is also a fill up form for the insurance what you need to fill up.Without filling up this form and paying for your fee it is not allowed to participate any of our SSBD Seminars. This entry was posted in Seminars on 20/06/2017 by Jason. This year we do only 3 SSBD Seminars in the Netherlands! But they will be Exclusive. 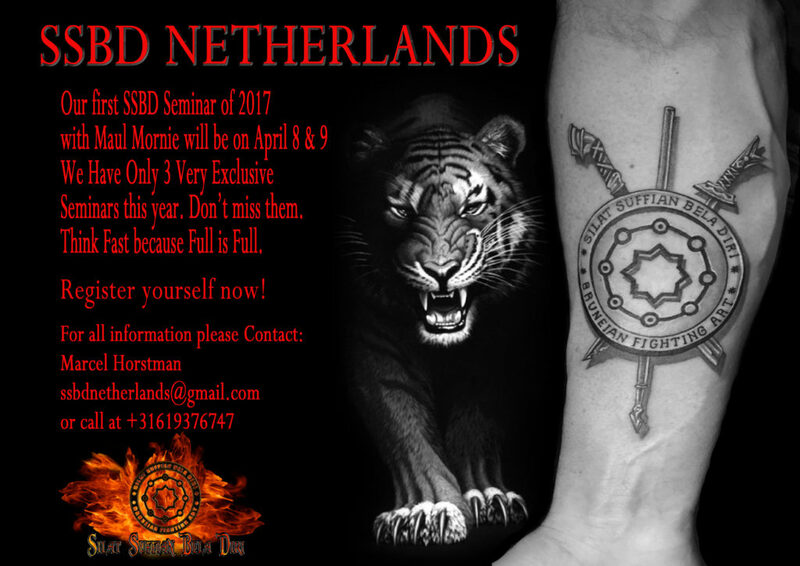 Intensive SSBD Seminar April 8 & 9 2017 the Netherlands with Maul Mornie. IBAN (NL70INGB0676857000)Foreigners who would like to pay in advance for the seminar need also this BIC code (INGBNL2A)This Bank account number + BIC above belongs to the account of M.HorstmanIf you make the payment please write in announcements (SSBD Seminar) and how many days you’ll attend. And please write down your full name. Without filling up this form and paying for your fee it is not allowed to participate any of our SSBD Seminars.If you are a Group leader of SSBD from any Country than you’ll pay NO Fee. This is to show them respect for their dedication and for promoting SSBD to their country and for the loyalty to follow Maul and to come to us to train with us and share our passion. There will be also safety goggles, training knives, weapons and other merchandises for sale. This entry was posted in Seminars on 23/02/2017 by Jason.